One of the biggest issues which faces the new entrepreneur is constructive money management, usually the lack of a budget for marketing. The dedication and the hours become stretched out, the compensation is non existent, and the challenge of acquiring much needed market share is still down the road. Most are strapped to a small investment for their start-up, so what needs to be decided is finding effective time and money saving methods of marketing their company on a slim budget. What this generally points toward is focusing more direct effort and time on labor intensive activities which doesn’t require as much capital. One of the best proven methods in this digital age that we live in is online marketing. This because of the various avenues which are now open without high operating costs. So if you’re considering digital marketing as a marketing avenue, the following are ways to begin. Begin by developing unique compelling content, but then that’s just half the battle won. You’ll also need to decide whether you’re wanting to syndicate the content as well. You can begin by emailing everyone on your list, both to your professional as well as personal contacts, letting them know what your doing. Usually, the majority of your friends will want to help so it’s advised you fully leverage this method. The freedom, ease, and affordability of social media allows you to syndicate your content effectively. What doing so requires is a lot of tedious time and effort, but if you have excellent content, you should eventually develop a loyal targeted following. So go ahead and contact everyone who’s ever given you their business card, and then invite them to follow you on your Facebook page or on LinkedIn. It can be this easy to get a following with those who are familiar with you, your product or brand. Although it does take time to learn the complexities and the ever moving target that is SEO, this especially if you’re just starting out, but ultimately this may be the route to go. The proper execution of SEO and the quality of traffic that it can provide can be particularly rewarding and profitable. It’s also a method where any size of company or website can compete alongside with the largest of companies, the major brands, and if executed properly, beat them. If the keywords that you chose are too competitive and you can’t effectively rank organically, then you can also consider a paid search campaign such as Google Adwords or on Facebook. Begin with a small budget for testing your keywords, to see what works or doesn’t. 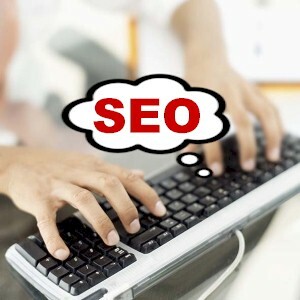 Paid search campaigns are an excellent way of getting targeted traffic immediately to your site. One of the biggest challenges is that you’ll need a lot of patience to see what does work, but then you may not have any other choice. It also won’t usually generate income for you immediately, it may even take several months with lot of tweaking to find out what optimizes. Since you’re attempting to be as cost conscious as possible, you should have the time to direct your effort towards building your own identifiable brand. What you should also be doing is developing unique content as well. Content marketing is more about patience and perfection rather than requiring a large budget, unless you want to fast track and hire writers. So it will help if you become as creative as possible with your content and your SEO. Begin by identifying and then analyzing your direct competition and then determine how you can differentiate yourself from them. Once you find your own unique angle, then there are different ways on creating content. The most common methods of content distribution and announcements being starting your own blog, email newsletters, developing videos, and creating infographics. If you’re willing to spend a bit on this, you can then collaborate with a content creation expert or vendor, who will be able to help you in producing quality targeted content quite affordably. It usually becomes vitally important when first starting out to determine the best ways of spending dollars towards the most efficient marketing methods on a variable basis. Affiliate marketing, for instance, you’ll just be paying your advertisers only when they make a sale, which includes they finding the customer or providing a lead. Commission Junction or Clickbank for instance, are a couple of reputable vendors who has created a marketplace which will help you in finding affiliates or partners. They’ll not only help you in identifying affiliates, but will also help you in managing the relationship as well. With these services, you can upload your creatives, provide commission offers, and then communicate and track the performance of your affiliates. There are a few channels which are open to you where you can effectively drive targeted traffic to your site. Just don’t become overwhelmed and attempt to do too much at one time. Begin by picking a channel, whether it be SEO or social media, or a combination, and then begin developing your skills. Once you become more effective, then move onto the other methods. All of these resources for Internet Marketing can be found on the Web by performing a quick search. It’s just a matter of doing your research and getting started.